Hello! 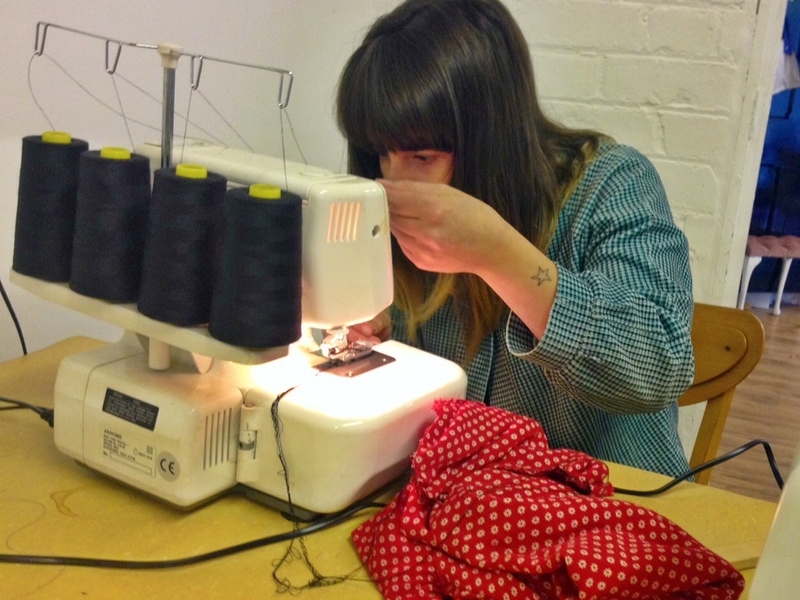 We are Stitched Up, a non-profit sewing cooperative from Manchester, England. Like Anna-Mari, our aim is to prove that wearing sustainable fashion does not mean compromising on style. We feel strongly about recycling, upcycling and reusing; almost everything we use in our upcycling projects and workshops is reclaimed. But why use reclaimed fabric when there’s an ample supply of beautiful new fabrics out there? Once you have the sewing skills, anything seems possible. But before the initial temptation to search endlessly for fabric, consider the amount of industrial textile waste produced by the growing fast-fashion industry. And on a smaller scale, all you DIY fashion fans at home can lessen your environmental impact by making more sustainable choices. In England, the Ethical Fashion Forum estimates textile waste of about 1 million tonnes a year, with only 25% of this recycled – a distressing figure to consider. Comparatively Finland consumes around 70,000 tonnes of clothing and household textiles each year, but estimates suggest about 30% of consumption is reused, with about 14% sent for recycling. Wow, that was a lot of fact and figures to get your head around, and it’s hard to envisage how one person can make a difference. However what’s brilliant news is that the practice of taking textile waste to landfill sites will be brought to an end in Finland by regulations entering into force at the start of 2016. And Finland are already developing solutions to this growing problem; fabric as good as or better than the original can be created by using solvents to break down worn out and even heavily soiled textiles, massively reducing the crazy amounts of textile waste! Go on Finland! This is so GREAT, and we have to hope it has some knock on effect back in Britain. There is so much potential in all the unwanted fabric and clothing that’s just discarded every year; yarn can be respun, clothing reworn, textiles can be reprocessed into fibres for upholstery, insulation, and even building materials – how amazing is that! THE PERSONAL CHALLENGE to your sewing and design skills – using old clothes to make new clothes is often more tricky because you have less fabric to work with, and you have to get creative about how you cut out your pattern pieces, combine different types of fabrics together etc. Think up novel uses for fabrics, such as turn curtains into a dress, tents into waterproof coats, wedding dresses into jumpsuits (we have witnessed them all). THE ENVIRONMENT! 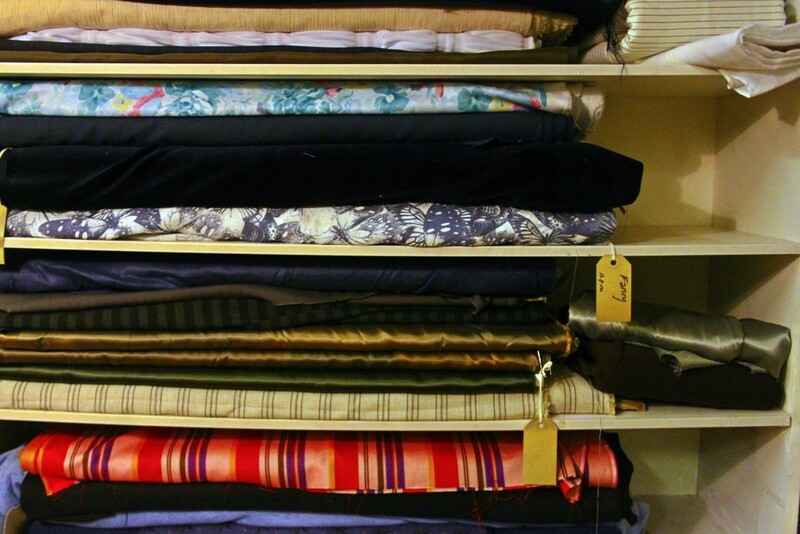 Reusing fabrics reduces the demand for brand new, unsustainable fabrics. Reusing and reclaiming fabric means using less resources and energy used in manufacturing, less waste of water and less chemicals (The EFF states 480 TONNES are used per year- and that’s just in the UK); basically less stress on the planet overall. INDIVIDUALITY! You have clothes that literally nobody else has. Your designs will be inspired by the fabrics you can find, rather than by a pattern you’ve bought, or what you’ve seen in the shop. You can literally tailor your style to you. 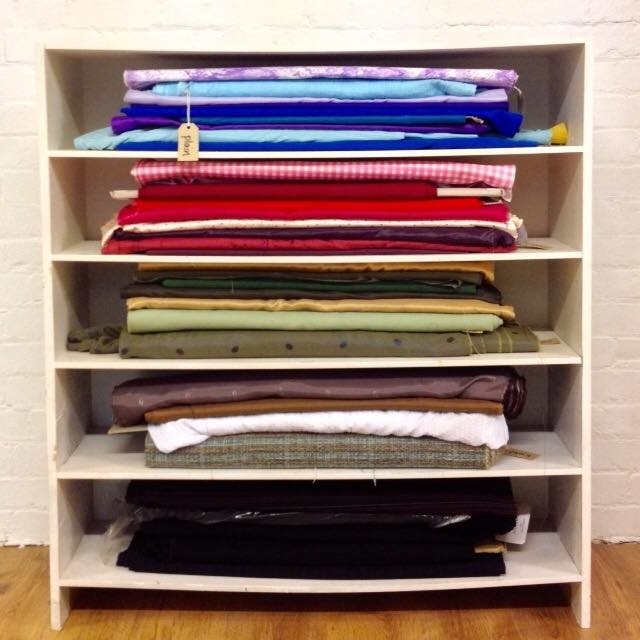 At Stitched Up, we’re lucky that we’ve become a place for people to donate their unwanted fabric. In turn we use it to educate and teach others about sustainability. 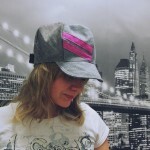 It also means we are able to make amazing upcycled garments. So what can one person do to help ease the textile waste problem? 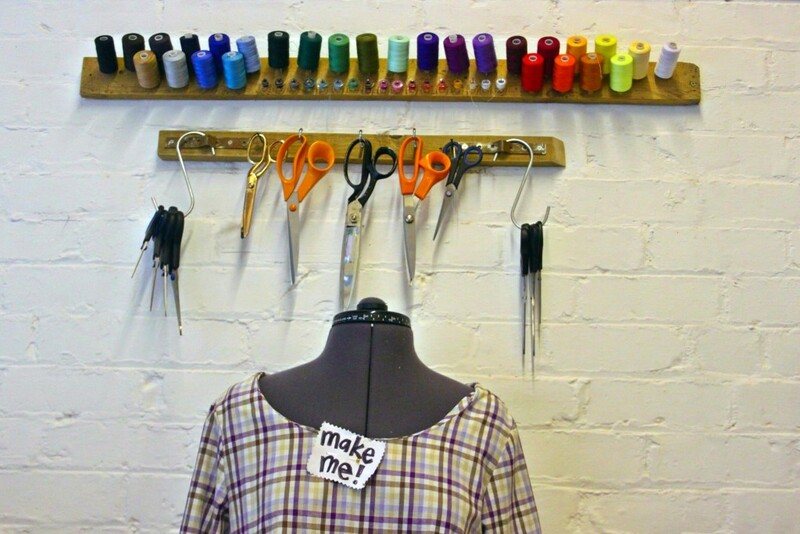 Take inspiration and learn the sewing skills to be able to create, make and alter clothing into your own style. You can research into where there are fabric offcuts and factory surplus, just waiting to be snapped up. 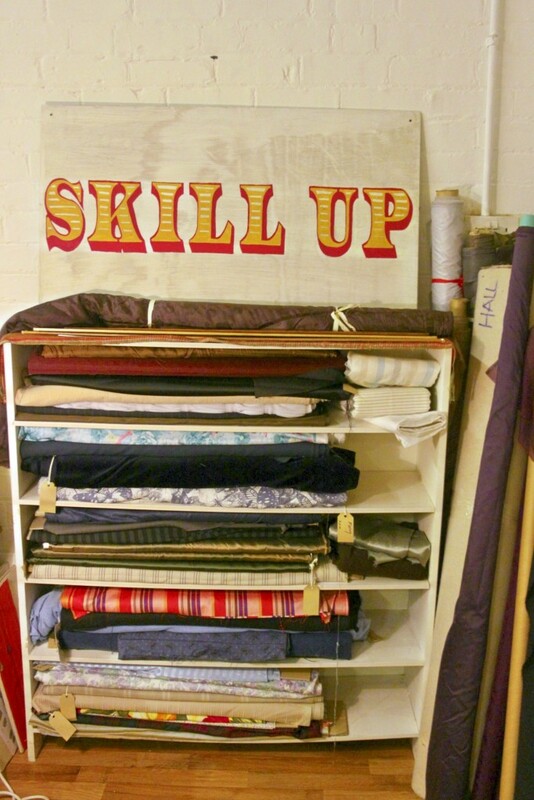 Shop in thrift shops, charity shops, second hand shops! 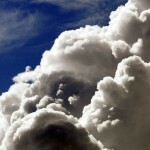 Choose more sustainable fabrics, like organic cotton, hemp, linen, and wool – these also help your skin breathe. And the internet has endless resources; Facebook groups, Instagram, eBay and Pre-Loved are great sites to find specific pieces and reach out to like-minded people. So go forth, reclaim and upcycle! Anna-Mari proves that sustainable fashion can be just as beautiful and high quality as the mainstream, and we would love for you to share with us all your reclaimed gems – find @stitchedupuk on Facebook, Instagram and Twitter. We’ll be sure to sing your praises and it also helps spread the word! This entry was posted in Clothing, Clothing Tips, Sewing and tagged eco fashion, ethical fashion, Guest Post, handmade clothes, sewing, Stitched Up, sustainable fashion, tips. Bookmark the permalink.